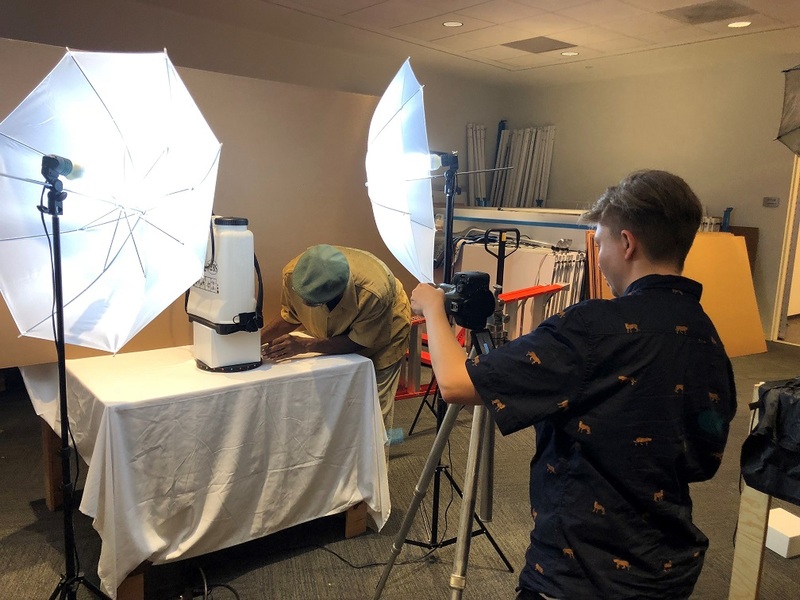 The SIF program and GSU’s School of Public Health are working with the David J. Sencer CDC museum to digitize their Ebola: People + Public Health + Political Will exhibit. 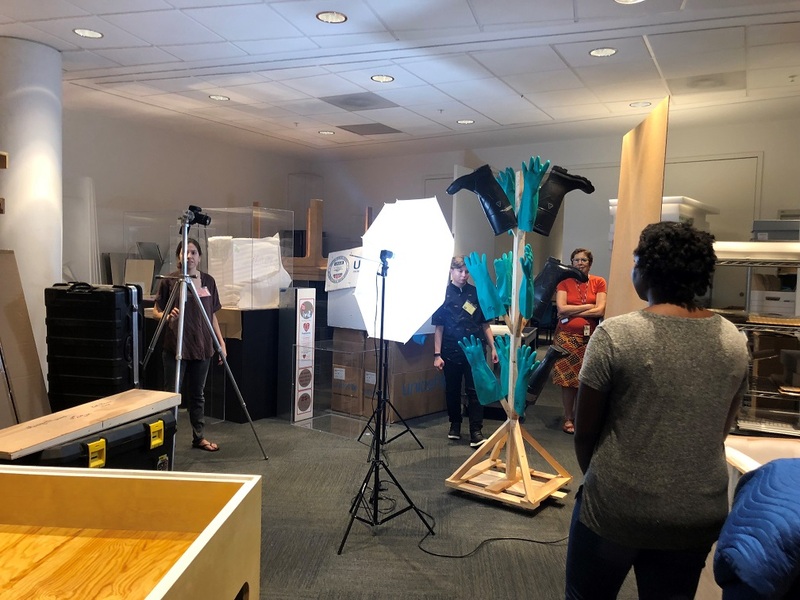 On Friday (September 14th, 2018), SIF grad and undergrad students from History, Art, and Public Health began creating 3D digital objects from the exhibit. By taking photos at every angle of objects like a bleach sprayer and a drying rack for gloves and boots, we will create digital artifacts through the process of photogrammetry. Taking photos of a drying rack from every angle.